Ruins of the Justinian Caire Co. building, 565 Market St.
Justinian Caire Company (1851-1945), Incorporated 1895, a San Francisco-based hardware and vintners’ supply business, was begun by Justinian Caire soon after his arrival in San Francisco on March 29, 1851. Justinian Caire arrived had in San Francisco at the age of 24, going into partnership with his friend, Claude Long, with whom he had traveled aboard Aurelie around Cape Horn to San Francisco. The two friends brought with them a load of French hardware and luxury goods to be sold the booming mining community in San Francisco. 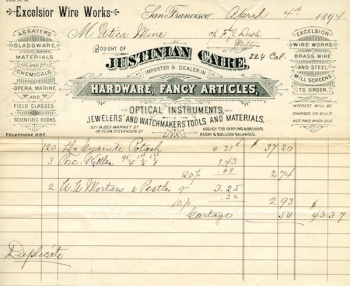 They opened Caire & Long, a hardware store specializing in mining equipment, assayers’ equipment and imported luxury items from Europe including dolls from Germany and porcelains and perfumes sent from France by Caire’s brother, Adrien. 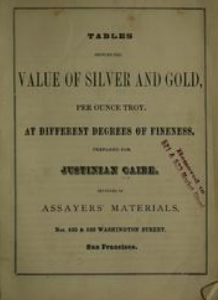 Caire & Long first appeared in the 1852 San Francisco directory at 178 Washington Street between Montgomery and Kearney. 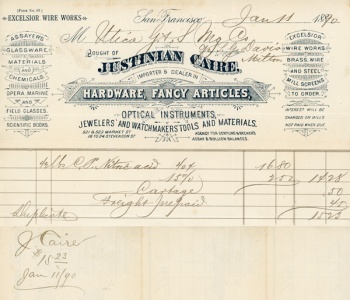 In 1856 the partnership was dissolved, but the two men and their families remained close friends. 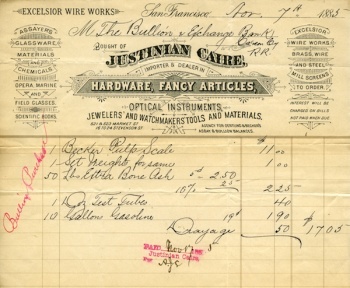 In 1856, two years after his marriage, Justinian Caire partnered with his older brother, changing the business name to Caire Brothers to reflect the role of his older brother in supplying merchandise from France. They prospered as many famous mining companies gave them business. 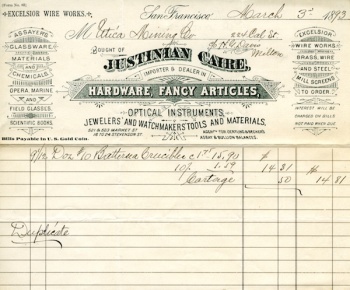 The name was soon changed to the Justinian Caire Company. 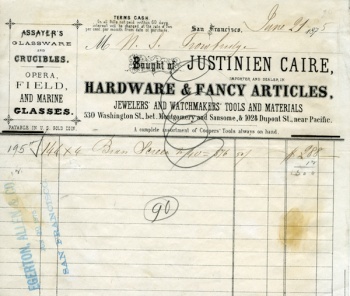 The Justinian Caire Company operated from a number of different locations throughout its more than half century in business. 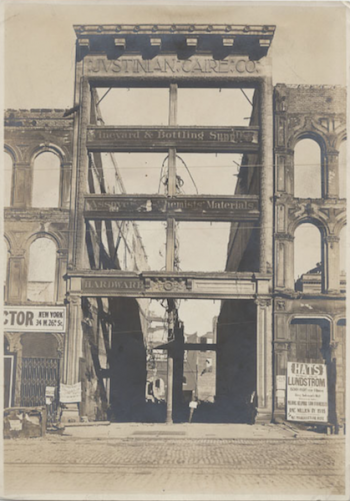 The San Francisco earthquake and fire destroyed the business and its building, located at 565 Market Street in 1906. 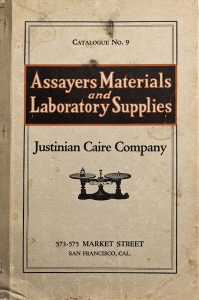 In November 1895 Justinian Caire incorporated his company, two years before his death. With the shares created, he placed a certain number of shares in the name of each of his children, but he had all the shares endorsed back to himself as sole owner of the corporation. 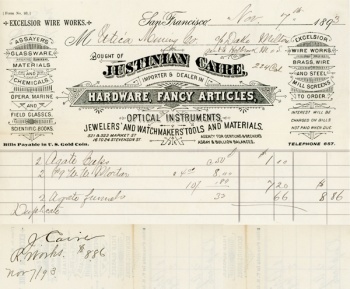 In early 1896, Caire endorsed each stock certificate to his wife, Albina. 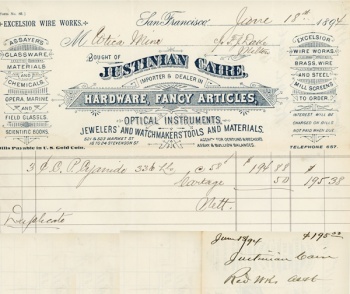 At the same time, Caire endorsed all of the stock certificates in the Santa Cruz Island Company to his wife as well. 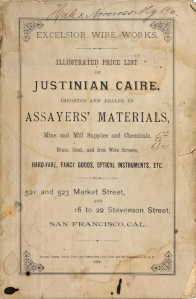 Justinian Caire died on December 7, 1897 and management of the Justinian Caire Company passed to his sons, Arthur and Frederic. 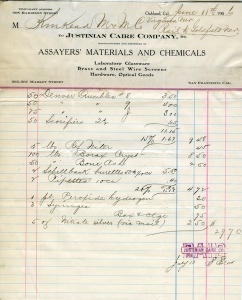 Arthur Caire died in 1942; the company was dissolved in 1945; and Frederic Caire died in 1950. NOTE: Market St. was renumbered after the 1906 earthquake. 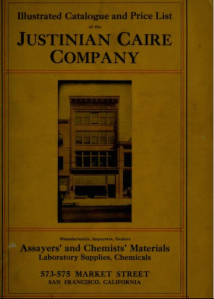 April 1906 during the San Francisco earthquake and fire, the Justinian Caire Company building on Market Street was a total loss. 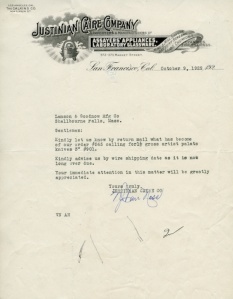 Company records and contents of the safe were lost, as well as inventory. 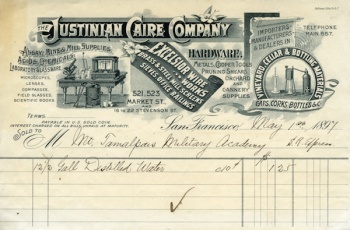 In August 1906 the company temporarily leased property on nearby Mission Street and reopened its office. 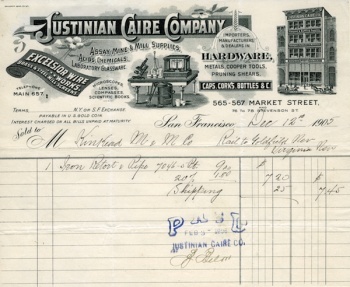 "JUSTINIAN CAIRE COMPANY STATIONERY OVER TIME"
Invoice generated after the loss of the company building in the April 18, 1906 San Francisco earthquake. This page was last edited on 21 March 2019, at 11:13.